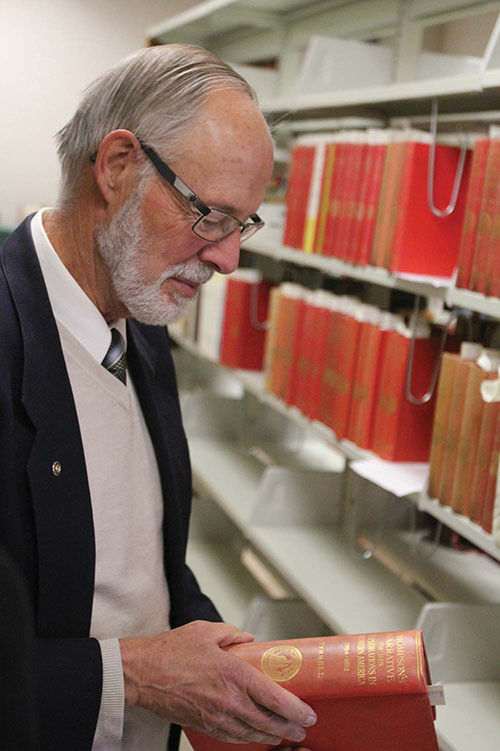 Dr. Robert Lampard, a physician who practised in Red Deer, Alta., for 26 years, has donated his 6,774-item western Canadian book collection to the U of L Library in 2017, where a large portion of the gift will be added to Special Collections and housed in the newly renovated rare book room, the Dr. Dorothy Lampard Reading Room. Named in honour of Lampard’s aunt, a founding uLethbridge faculty member and senator, the room is a celebration of her lifelong commitment to reading. “The broad scope of the collection will provide Western Canadian researchers with a wealth of information about early Canadian exploration, the Arctic, mountaineering, early Canadian railway development (especially Sandford Fleming), Western Canadian banking and business history, the political and religious history of the prairie provinces, native studies, the HBC, railways, ranching, the fur trade, local history, the Canadian military and policing, natural history, geology and Canadian art,” appraises Barbara Ellis, owner of The Edmonton Book Store and a member of the National Archives Appraisal Board of Canada. The gift includes a complete series of the Champlain Historical Society publications, all the volumes of the Hudson’s Bay Record Society, and many seminal primary narratives of the exploration of the Canadian Arctic. Approximately 50 monographs have been signed by their authors. Other materials of note include those from John Palliser, Henry Youle Hind, Paul Kane, George Dawson, George Gladman, Alexander Begg and George Simpson. The extensive, formerly private collection, is now accessible to a wide audience of researchers at all levels. 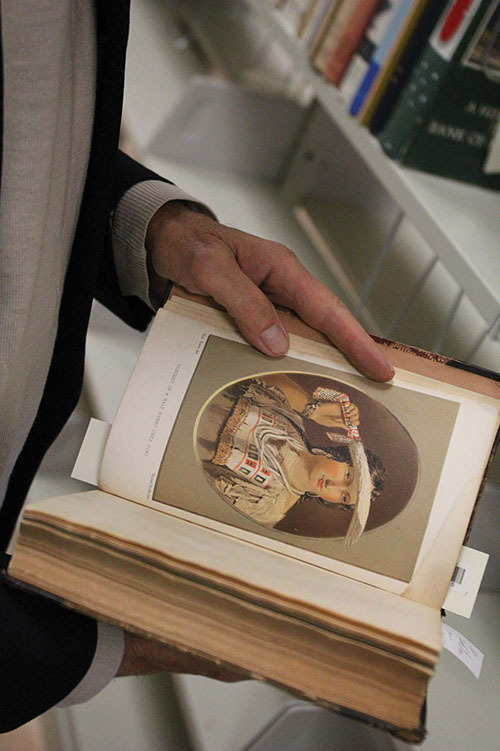 Members of the University’s Department of History are particularly captivated by the opportunities that this unique collection will afford in the furtherance of Canadian historical research, particularly from the perspective of graduate education at the University. U of L history professor Dr. Sheila McManus says the significance of the collection is in its scope and accessibility. “As a historian of the broader North American West, I am incredibly excited to have this collection housed at the U of L. It’s an important collection for my research and our students will be able to conduct amazing primary research in our own archives,” she says. “Having original primary sources on campus is an enormous boon for the University of Lethbridge and will certainly make us a destination for graduate- and faculty-level researchers." For Lampard, the gift gives him comfort, knowing that it honours his remarkable aunt all while continuing a legacy of reading and literacy.